The US-led coalition fighting against Isis in Syria and Iraq admitted to killing at least 1,114 civilians in air and artillery strikes in the four-year span of the war. 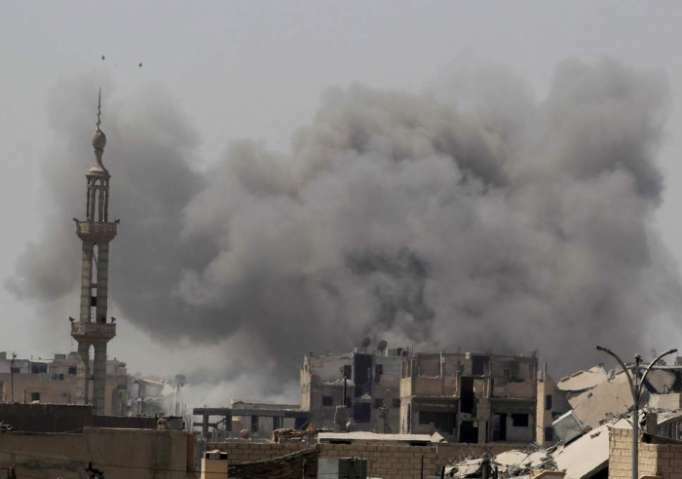 Inherent Resolve, the codename for the US-dominated coalition combating the jihadi group, said it had launched a total of 30,008 strikes on suspected Isis targets between August 2014 and August 2018, and that each allegation of civilian casualties has been investigated. It is a significant number but far less than the more than 6,000 people assessed to have been killed by independent monitors. While contending that the number of civilian casualties is far higher, critics praised the US military for improving its measures of accountability. “While that number remains far below public estimates of harm we have seen significant improvements in how the coalition monitors battlefield casualties which we hope will be standard practice in future conflicts,” Chris Woods, director of the UK-based war monitoring organisation Airwars, said in a statement. Airwars estimates at least 6,500 civilians killed. Ms Rovera also said the US military has also repeatedly and loudly dismissed the findings of independent groups such as Amnesty or Human Rights Watch, or media outlets, only to quietly admit mistakes months later. Even as the US has gotten better about admitting civilian casualties, other countries bombing Syria or Iraq continue to ignore the impact of their warfare on noncombatants or deny any problems. Russia, which claims it is fighting extremists on behalf of Syrian government, has inflicted well-documented carnage on civilians, including rescue workers and medical personnel, as documented repeatedly by the United Nations, but has never admitted any to civilian casualties. Mr Woods also said the UK and France “continue to claim low or no casualties from their own actions, an absurdity given the lethal nature of modern urban warfare”. Refusing to admit civilian casualties prevents governments from assessing their methods, and identifying flaws in their collection of intelligence and designating of targets, said Ms Rovera.